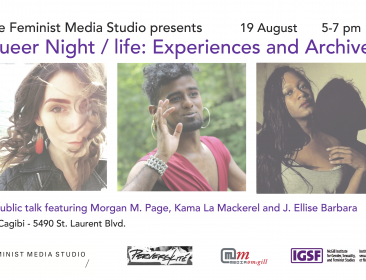 Please join us for this member-initiated Feminist Media Studio public talk in which queer nightlife organizers, participants and historians come together to discuss the role of the night in queer creation and knowledge production. They will reflect upon their personal experiences as queer creators and researchers in themes of nightlife and memory. 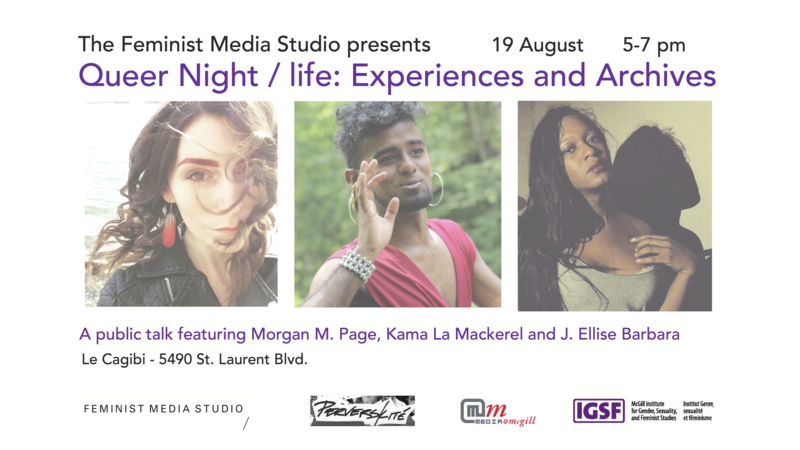 This event co-sponsored by Media@McGill and The Institute for Gender, Sexuality, and Feminist Studies (IGSF). It is also a part of the 10th annual Festival Pervers/Cité. For further information consult the Concordia Events page, or visit the Facebook event.